The MacGill Summer School has been in existence for thirty-nine years. It was founded in 1981 in Glenties, Co. Donegal to celebrate the memory of local writer, Patrick MacGill. MacGill wrote in the early 20th century on the social conditions in Donegal, the plight of migrant workers in Britain and the horrors of the Great War in which he fought as a soldier of the London Irish Rifles. His books are still being published. The principal contribution of the School has been in the area of public policy – ranging across economic policy, social policy and political and public service reform. The debates do not attempt to achieve consensus around stated positions but rather to stimulate interest in ideas and proposals and to provide a basis for action by leadership groups and individuals. The impact is not limited to participants in the School. Find places to eat, beaches to visit, golf courses and other places of interest around Glenties…. From cosy B&B’s with a warm Donegal welcome, to friendly modern hotels with all the facilities you’ll need. Click here to see a selection of accommodation options. The school has grown from very modest beginnings to being one of the most important fora in Ireland for the analysis of topics of national and international interest. It has consistently been a source of innovative and fresh thinking on a range of social, economic and political ideas. An edited version of the MacGill proceedings was published every year up to 2011. And since then, the papers have been available in the archive section of this website. They are a significant source for postgraduate students in particular. 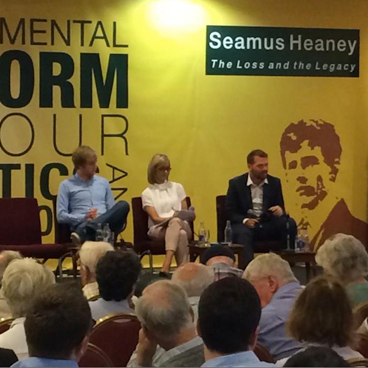 An overview of the speakers at the 2018 MacGill Summer School. 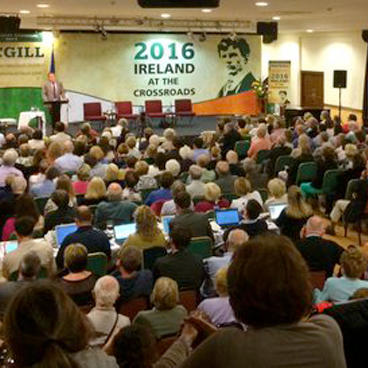 Donegal County Council has partnered with MacGill Summer School to record and broadcast the proceedings live as internet webcasts and is making available in a video archive of all speakers since 2009. Webcasts of each session from the MacGill Summer School 2018 can be accessed through the Donegal County Council website.